Have you heard - GEDmatch database was accessed to find the Golden Gate Killer? HACKERS! MyHeritage's 92,283,889 people database has just been breached - Here's a link. 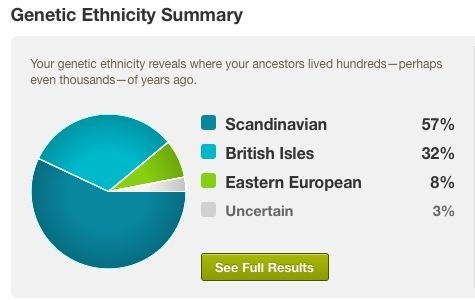 As you can see above ancestry.com told me I was 57% Scandinavian, 32% British Isles, 8% Eastern European and 3% Uncertain. I had expected more information and was very disappointed. This breakdown didn't tell me very much and was very general. I complained to Ancestry.com and asked for a refund, but had no response. I also asked Ancestry.com for my raw results. Again no answer. I read online that Ancestry.com had promised to give us our raw test results in early 2013. In March 2013 Ancestry.com announces results were available. I found this out online while reading an ancestry related blog. Ancestry.com says they don't believe their members want their raw results or more information beyond the type of general breakdown you see above. I say, that's hogwash! Anyway it isn't easy to download your raw results - first you have to find the link and then go through a bunch of steaps to download them as a zip file. You can find the link in the gray box on the right side of the "Manage Your Test Results" page. I downloaded my results and unzipped the text file. Of course it was huge amount of data that meant nothing to me. Unlike 23andMe, Ancestry will provide no tools to analyze your results. Again, Ancestry.com says they are a low priority to their members. This is an incredible statement. I think that's amazing - GEDMatch gives you lots of different opinions to view your results. You can see that test picks out my Native American ancestry. Crowing Rooster Tuskingo Shoe Boots, a Chief in the Cherokee nation was my forth great-grandfather, while Pochantas, Princess of the Powhatans was my ninth great-grandmother. This test gives me .80% North Amerindian, which seems to be the right amount for that ancestry. Before my family came to the USA my ancestors were mostly Scots - English (both with roots in Norway) and Irish - Norman. Both tests reflect that. 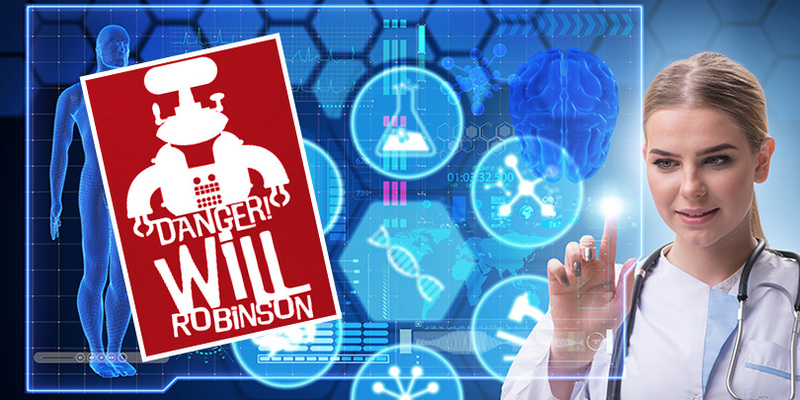 You can take the results of their various tests and create a really cool matrix of different ways to interpret your ancestry. I highly recommend the GEDMatch system. If you use it be sure to donate something to their work. The system is free. 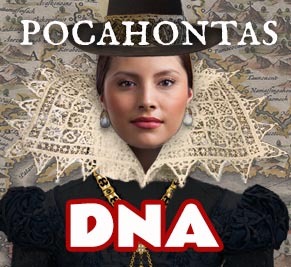 Native American Ancestry and DNA - Am I descended from Pocahontas?